Palo Alto County is named for an important battlefield victory in the Mexican War, which was fought on May 8, 1846. The first settlement in the county was at West Bend. In 1857, some men of Palo Alto County joined the relief expedition from Fort Dodge to the scene of the Spirit Lake Massacre. West Bend provided food and shelter for both the military group and survivors of the massacre. 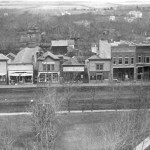 As soon as the county was organized on December 20, 1858, three locating commissioners met to locate the site of the county seat. The site they selected was a small village called Paoli, although county business was taken care at a place called Soda Bar. County swamp land was sold to pay for the courthouse and a school in Paoli. The two-story brick structure collapsed during its construction. County officials decided to rebuild the building, this time only half the size. 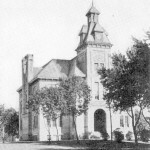 The courthouse was finally completed in 1859. In 1874, representatives of a railroad company met with businessmen of Old Town, the most established community at the time, proposing a mass move. Having platted the new town, the railroad was willing to give businessmen choice lots if they would move. 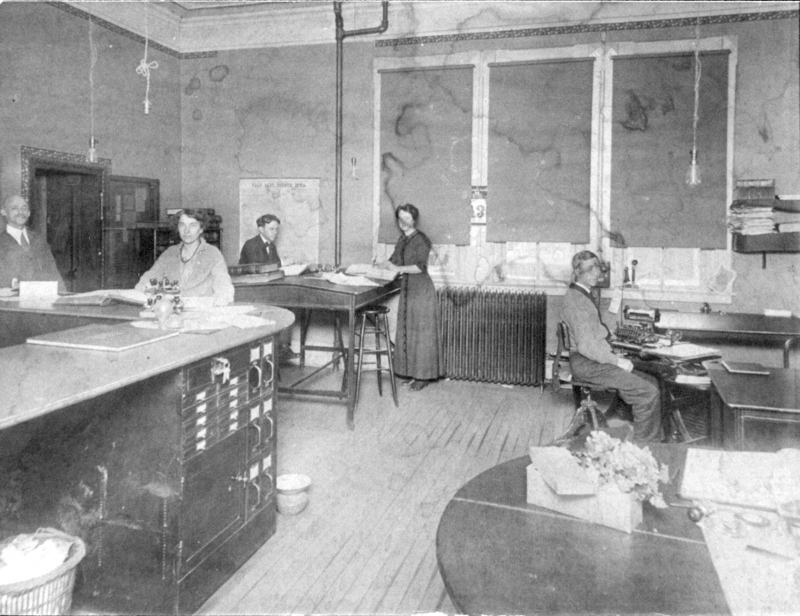 On September 2, the first business moved. 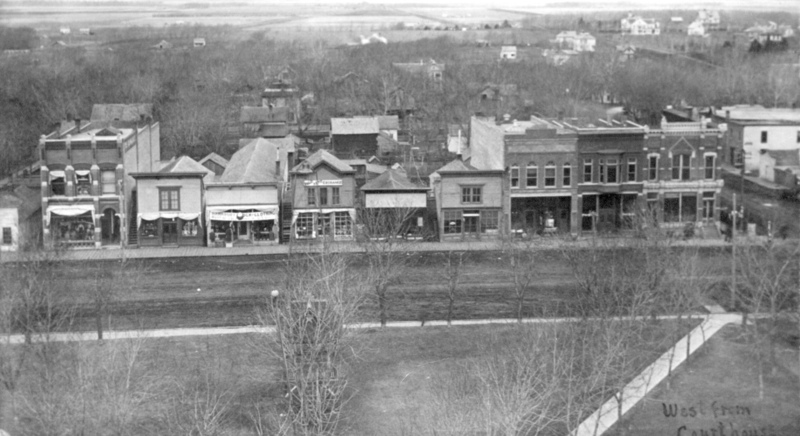 By December, the town of Emmetsburg had come into existence, to become the county seat in 1875. 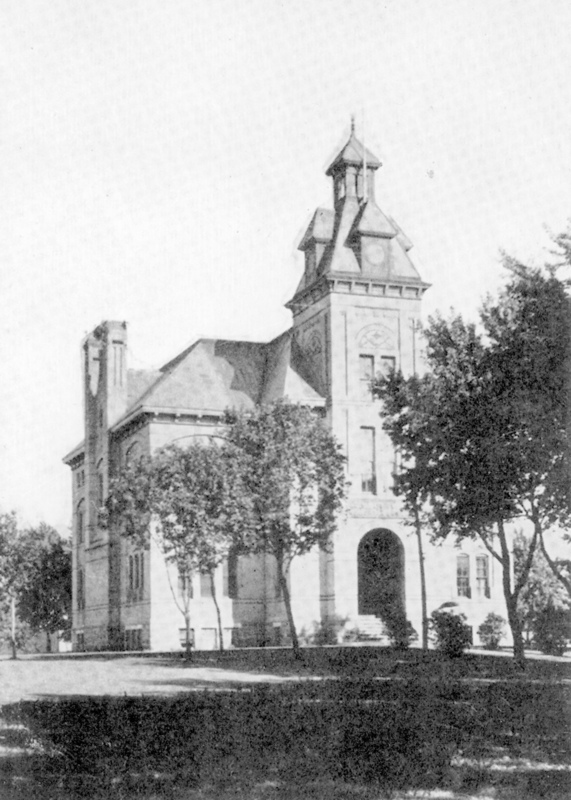 In 1880, a brick courthouse was built in Emmetsburg, which is named after the Irish patriot Robert Emmet. This 1880’s building has undergone extensive repairs over the years. 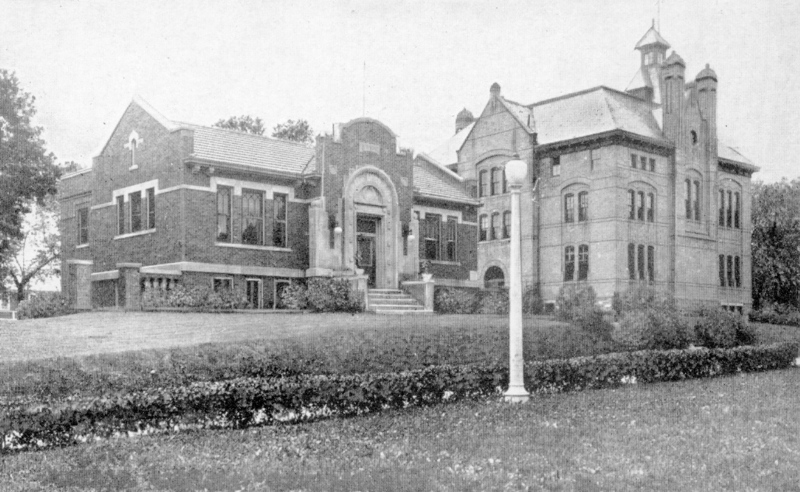 Originally faced with yellow brick, it was refaced with red brick during World War I. 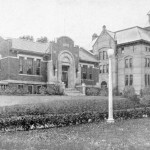 A tall tower was removed in the 1920’s, and the jail was removed from the basement and relocated. It was extensively remodeled in 1970, and a two-story and basement addition was completed in 1976-1977. Emmetsburg began with a saw mill run by water power from a dam built on the Des Moines River. Martin Coonan built the first log cabin on the east bank of the river in 1858, and later built a larger house that became the stopping place for weary travelers. The dam attracted new settlers, who eventually built a small community running from the river up to the higher ground on the east. Also in 1858, three Irish land speculators staked out a town on the west bank of Medium Lake (now 5 Island Lake) near the southern end. They were ardent admirers of Robert Emmet, the Irish patriot, and called their new town Emmetsburg. But, they ran out of money and their dream of Emmetsburg being a great county seat town collapsed. 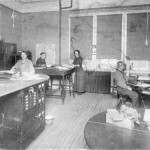 When the Milwaukee Railroad laid out a town site near the lake, Martin Coonan’s little community was moved there in September of 1874. The name “Emmetsburg” remained! 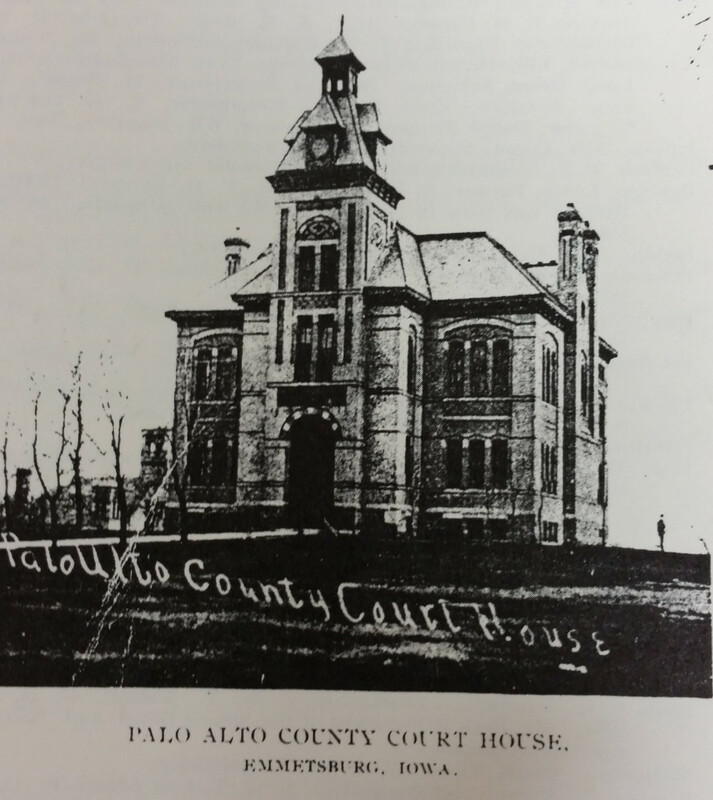 In 1875, Emmetsburg was named the county seat of Palo Alto County. Since then, Emmetsburg has grown from a log cabin court house, store and blacksmith shop with a population numbering less than 50 to a thriving community.